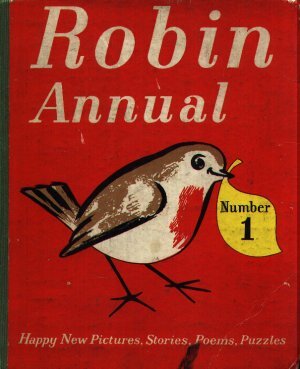 Robin Annual 1 was aimed at very young children with lots of colour story strips and many short stories for parents to read to their children. Even Andy Pandy and the Flower Pot Men make an appearance. There is no contents list, so the list below is my own creation. Dimensions : 21.5cm x 26cm with 80 pages.